The director of Talking Heads' legendary concert film 'Stop Making Sense' and 'Silence Of The Lambs' has died aged 73. 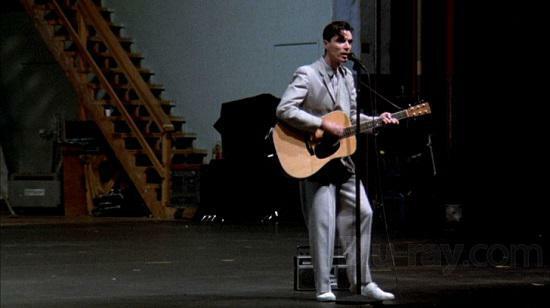 David Byrne performing in Demme's 1984 classic Stop Making Sense.. The Oscar-winning director, Jonathan Demme has died aged 73, after complications from esophageal cancer. Demme is best known for directing 1991's Silence of the Lambs, which earned him the Academy Award for Best Director, and Talking Heads' 1984 concert film Stop Making Sense. David Byrne led the tributes to the filmmaker, writing "I met Jonathan in the '80s when Talking Heads were touring a show that he would eventually film and turn into Stop Making Sense. While touring, I thought the show had turned out well and might hold up as a movie, and a mutual friend introduced us. I loved his films Melvin and Howard and Citizens Band (AKA Handle With Care). From those movies alone, one could sense his love of ordinary people. That love surfaces and is manifest over and over throughout his career." "Stop Making Sense was character driven too. Jonathan's skill was to see the show almost as a theatrical ensemble piece, in which the characters and their quirks would be introduced to the audience, and you'd get to know the band as people, each with their distinct personalities. They became your friends, in a sense. I was too focused on the music, the staging and the lighting to see how important his focus on character was—it made the movies something different and special." As well as Talking Heads, Demme also worked on music videos and documentaries with artists including New Order, the Feelies and Neil Young. Other musicians paying tribute included Bruce Springsteen, who tweeted, "he was an inspiration for me, a beautiful filmmaker and a great spirit." Demme worked with Springsteen on the 'Streets of Philadelphia' music video, from the Oscar-nominated movie, which he also directed. Tom Hanks, who appeared in Philadelphia, said, "Jonathan taught us how big a heart a person can have, and how it will guide how we live and what we do for a living. He was the grandest of men." Byrne's full tribute to the director can be found here.